In a newly launched grid modernization initiative, the District of Columbia is wrangling with the question: Are microgrids utilities? The question arises as the district’s Public Service Commission begins exploring how the nation’s capital city can create a more sustainable and reliable electric grid. In a report issued last week (Docket 1130), the commission follows in the footsteps of New York and California to determine what regulations are needed – and which get in the way – of microgrids and other forms of distributed energy. The question — are microgrids utilities — is one of several regulatory complexities the report points out as the district begins on a multi-year journey to modernize the grid. 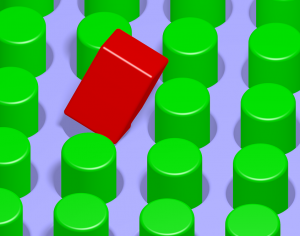 Since much of today’s electric regulation was created before distributed energy technologies were conceived – or at least became popular — the electricity industry finds itself trying to fit square pegs into round holes. Microgrids may be the toughest fit because they are hard to define, given that they can perform several roles. Sometimes microgrids act as generators, sometimes they are distribution systems, and sometimes they become utility customers. The district’s proceeding is significant not only because of the issues it tackles, but also because the commission plans to dive into a pot of money — $25 million – to provide grants for test programs. The money comes from a settlement in the Pepco-Exelon merger. If regulators deem microgrids to be de facto utilities, “the microgrid would be subject to a host of regulations applicable to electric companies,” said the report, prepared by commission staff. 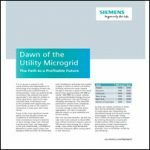 Regulations created for large and complex utility companies would be imposed on relatively small and simple microgrids. As utilities, microgrids would need to seek approval before the state commission for the rates they charge customers — even though they might only have a handful of customers. Microgrids also would be subject to safety and reliability standards set up for utilities. They would have to comply with renewable portfolio standards and meet emissions reporting requirements. And if microgrids are not utilities, can utilities operate them? This is a big question not only in the district, but also in states with similar competitive rules that prevent them from owning generating plants. Pepco, the utility that operates in the district, argued that utility-microgrid partnerships are still possible. The utility would own the wires within the microgrid, while a private developer would own the generation portion of the microgrid. The report recommends that the commission undertake a proceeding to define microgrids, as well as several related topics: distributed energy resources, distributed generation, fossil fuel generators, cogeneration, fuel cells, microturbines, net metered facilities, back-up generators, energy storage, batteries, electric vehicles, and fly wheels, demand response. It also calls for creation of a grant program to pilot and possibly demonstrate distributed energy technologies using the $25 million in Exelon-Pepco merger settlement funds. The plan envisions grants for microgrids, as well as advanced control systems, cogeneration, demand management, electric vehicles, energy storage, fuel cells, photovoltaic systems, smart inverters, voltage regulation, and district heating and cooling. The district appears to offer a great deal of microgrid opportunity. Washington imports most of its power, making it vulnerable to grid disruptions that may occur miles away. Microgrids could shore up the grid’s reliability and provide local energy. And as the nation’s capital, Washington’s ultimate position on distributed energy regulation is important. Like New York, Chicago and other high visibility cities, it may create microgrid models others can follow. The public service commission will take public comment on the initiative until March 27. 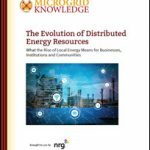 A public meeting will be held February 28, 2017, 5:30 p.m. in Commission Hearing Room, 1325 G Street N.W., Suite 800, Washington, D.C.
Track news about microgrids by subscribing to the free Microgrid Knowledge newsletter.